That's right, NYC now has its very own "Mansion" dedicated entirely to rosé. Of course, team LMP was there right when it opened to check it out. A building full of rooms for tasting rosé and taking photos?! RIGHT up our alley. Not to mention, my best friend Kelly Bryden was hired as the art director for the whole project. Naturally, she got Little Miss Party involved right away because she knew this place would be our jam. Natalie and I both gave an extra hand in production on weekends to help Kelly bring the Mansion to life, and we couldn't be prouder of how it all came together. There's a rainbow scratch and sniff wall with different smells you can find in different wines. There's a room with a candy cart, fully dedicated to sweet wines! 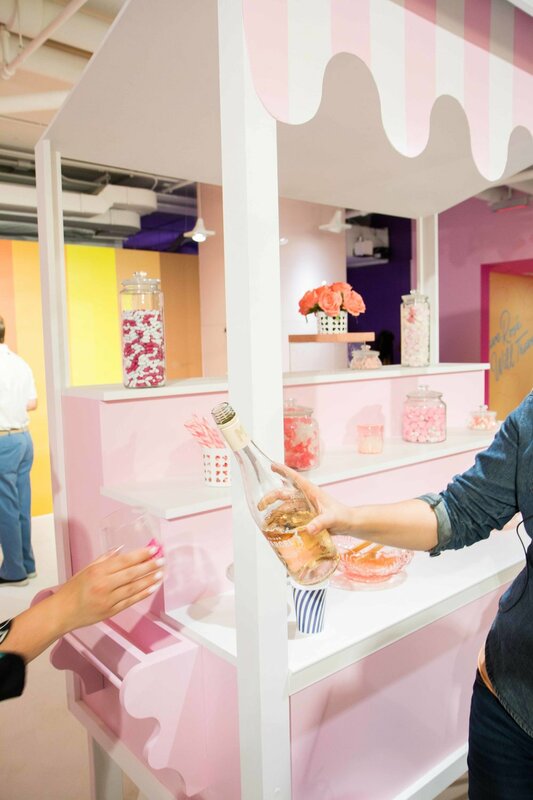 You get to taste a sweet gummy bear before sipping your rosé. One of our favorite spots was The Blending Lab, where you tell the mixologist what you like in a wine (light or heavy? refreshing? dry or sweet?) and they mix up the perfect blend! We didn't forget to pop some bubbly. A room fully dedicated to our love for champagne, of course! 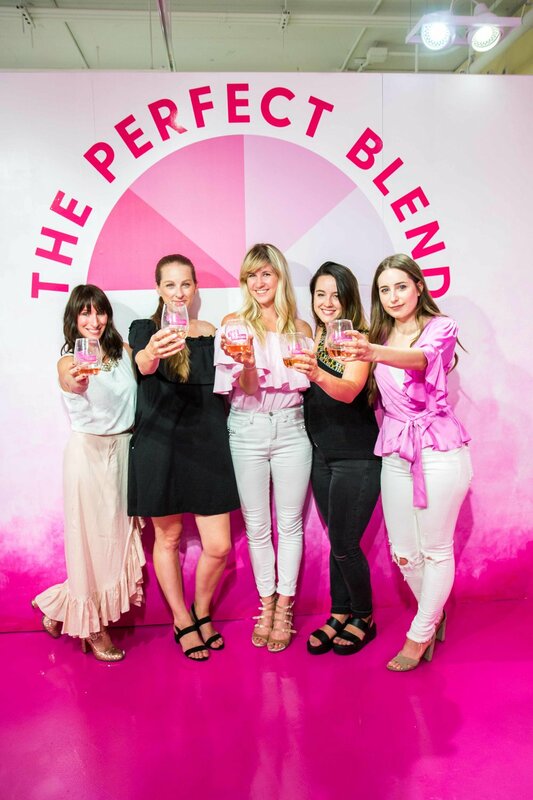 The whole entire experience was filled with creatively curated moments for photos intermixed with mini lessons about rosé from all different regions around the world. 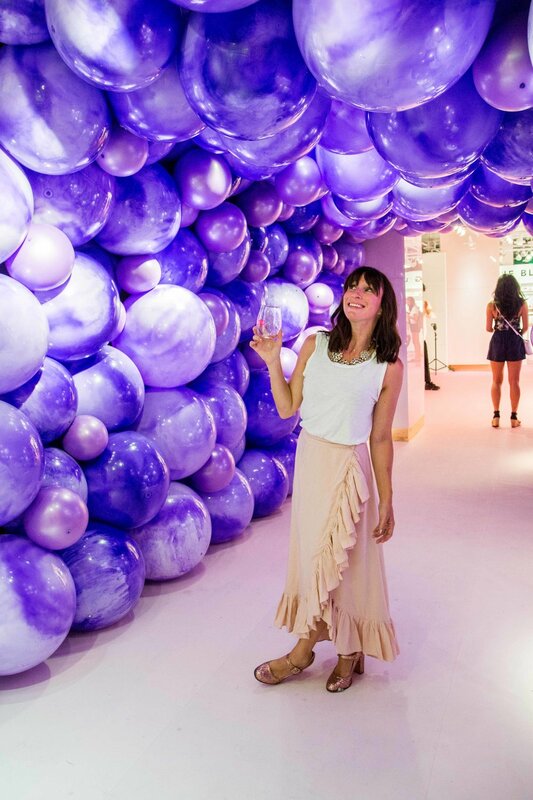 I'm so proud of Kelly for all her hard work and amazingly original ideas that brought this pop-up to life. Be sure to visit between now and October by booking a reservation! ROSÉ ALL DAY!